Food safety is a complex problem in a today’s globalized world. Food’s journey from farm to fork includes multiple steps, many vehicles, and several transformations. As a result, the opportunities for the introduction and spread of contamination increase. Furthermore, World Health Organization reported late last year that 420,000 people (many of them young children) die from contaminated food each year. The report also showed that the biggest burden of food borne illnesses is in Africa and in Southeast Asia. 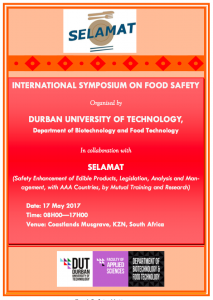 Considering the importance of food safety in Sub-Saharan Africa, Durban University of Technology (DUT) and SELAMAT could not have picked a better time to host the International Symposium dedicated to Food Safety. The event will have in attendance several international speakers. The key note speech entitled ‘Food Safety and Quality in a Globalized World’ will be delivered by Dr Masami Takeuchi of Food Agricultural Organization (FAO), Italy. 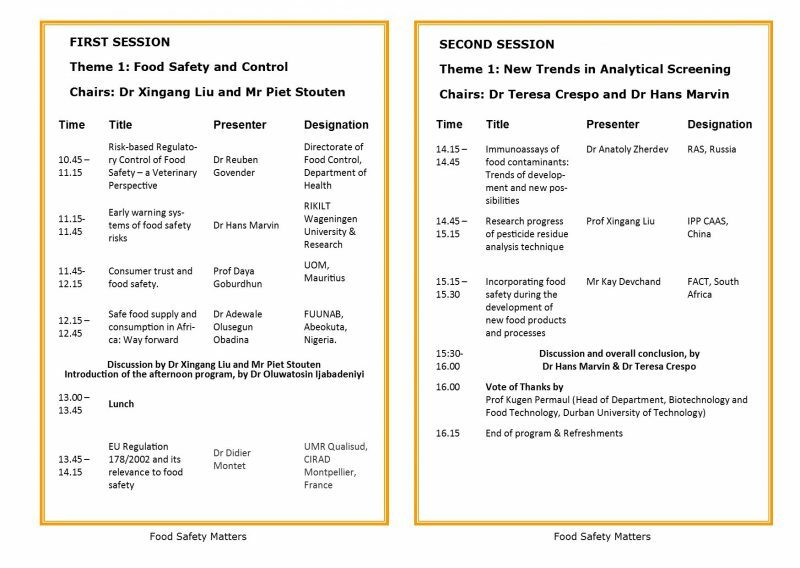 Other topics will include Water use and reuse for agriculture – food safety challenges, Regulatory Framework and Inspection for food safety and control in South Africa, Early warning systems of food safety risks, Consumer trust and food safety, The role of monitoring programs in Food Safety control, Progress of pesticide application and maximum residue limits in China etc. 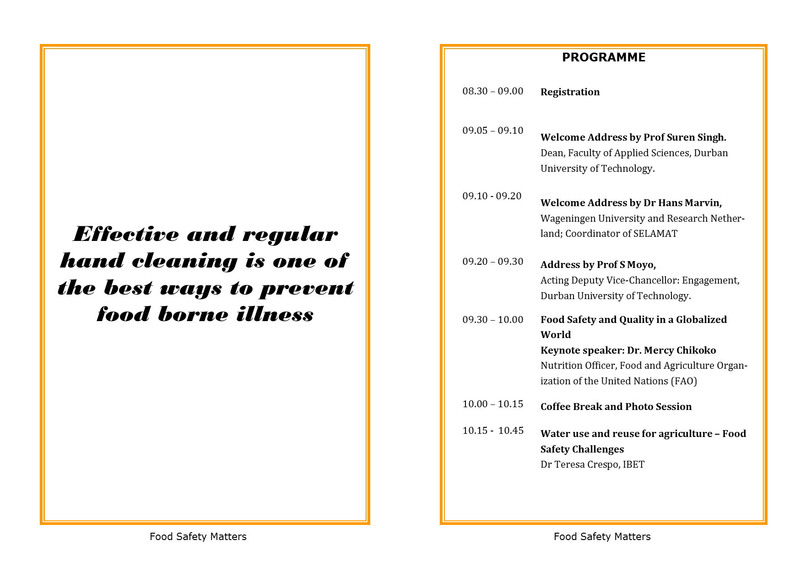 With the presence of highly affiliated personalities, researchers, scientists around the globe focused on food safety, this symposium will provide the platform for learning and sharing new developments in this field including ways to create a food safety culture in the world. So, if you are a researcher, postgraduate student, food quality officer, food product developer, food retailer, food manufacturer, farmer, food regulator/inspector you should attend.